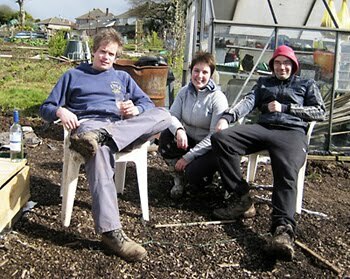 This blog has been set-up as a development page for Karl's fabulous allotment! I've decided to take my camera each day to record all the digging, planting and growing throughout the year. (and of course for fun purposes too!) We're starting in January by digging up the weeds and grass that has flourished over the autumn and we are also planning to build some raised beds! I'm hoping that each day will reveal something new and exciting!